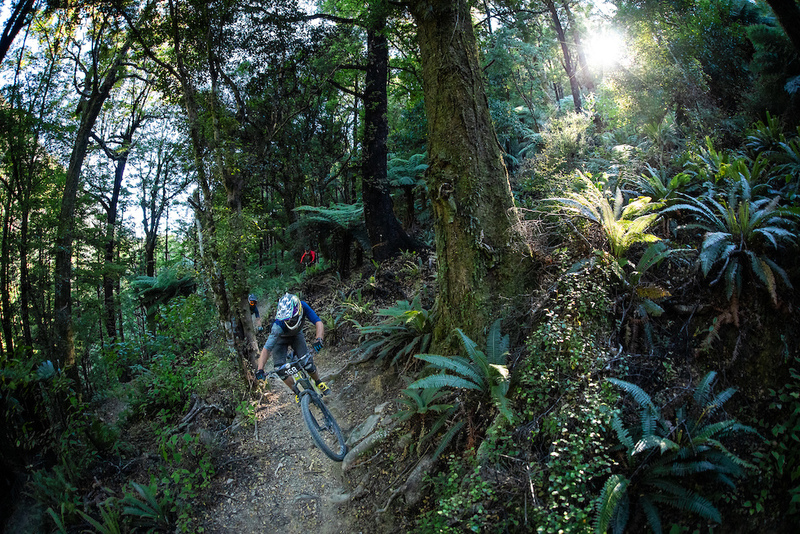 Photos// Matt Wood & Digby Shaw. Words// Michael Hayward. 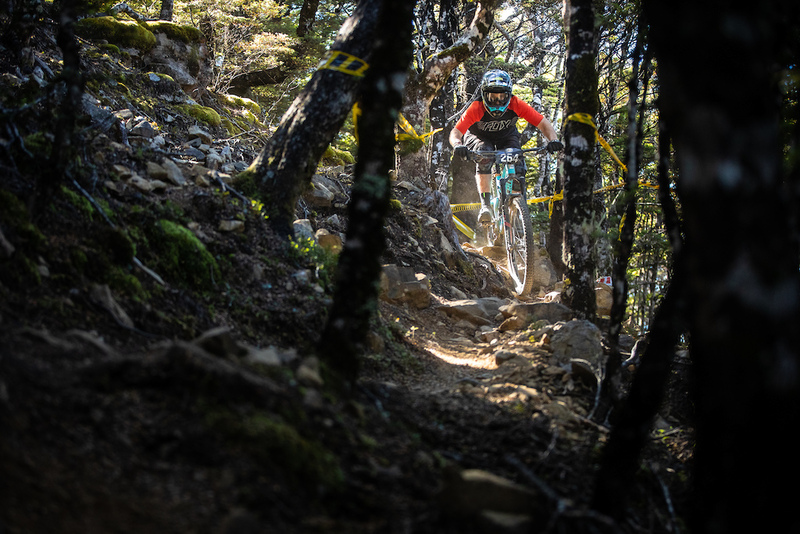 New Zealand’s best racers poured into sun-drenched Nelson for a weekend of tight racing, but when the dust cleared Sam Blenkinsop had taken his fifth title at the Dodzy Memorial Enduro. 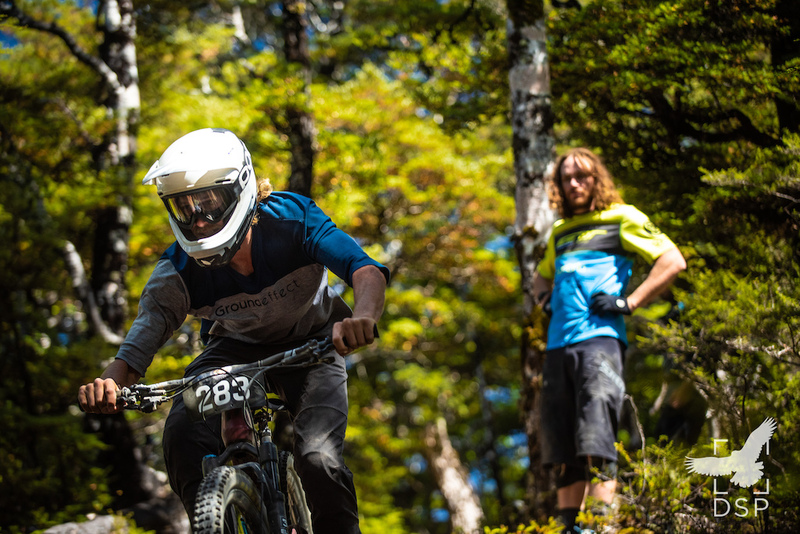 Known for its social vibe and technical riding, the shuttle-assisted event celebrates the life of kiwi mountain biking legend James “Dodzy” Dodds, who was tragically killed in a hunting accident in 2012. 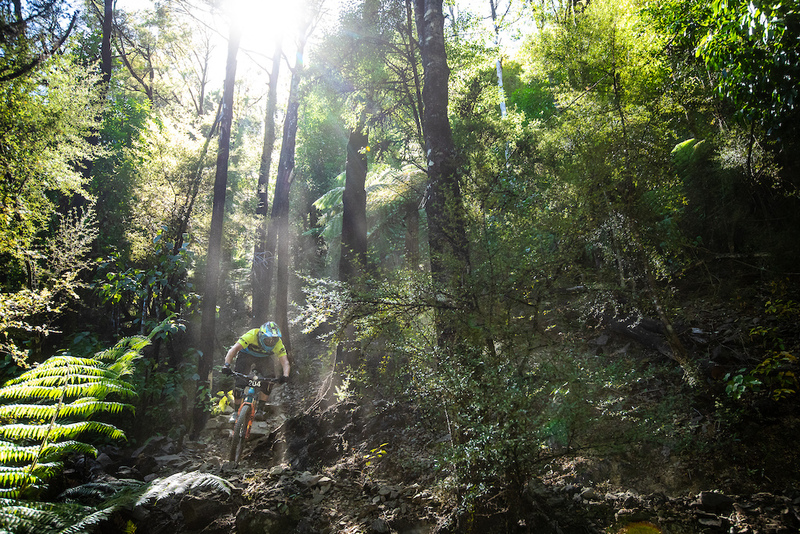 Dodds co-owned NZ Trail Solutions, the company that built over 70 kilometres of trail at the Wairoa Gorge. After a long dry New Zealand summer, a high fire risk caused a stressful week for the organisers. The race was given the go ahead under a strict fire plan which saw water tankers and volunteer firefighters out on site. This year’s course started with an exhausting 850 vertical metre run from the park’s highest point to the valley floor, made more challenging by the relentless heat and loose, dusty tracks. The afternoon took racers on an adventure through a tricky technical smorgasboard before finishing with a fast and flowing final stage which was a welcome relief for weary bodies. 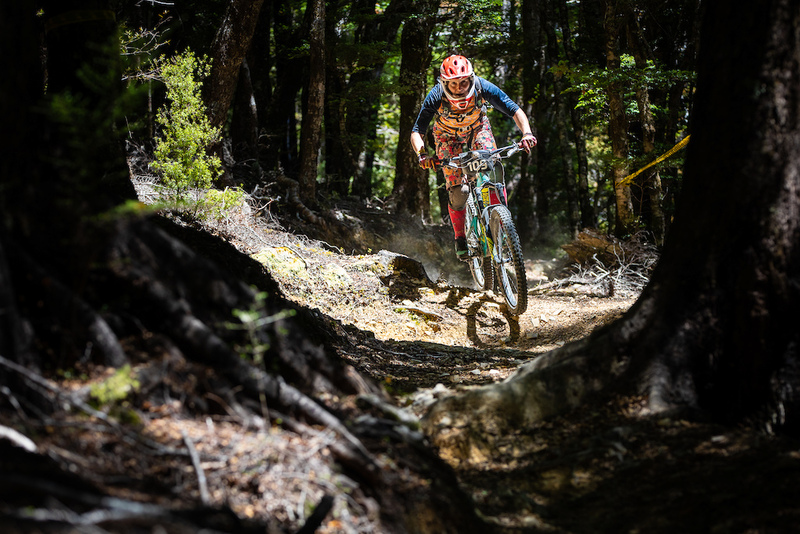 Blenkinsop, who took the win in 31 minutes 09 seconds, said it was some of the hardest conditions he’s raced in at the Wairoa on the most physical course to date. 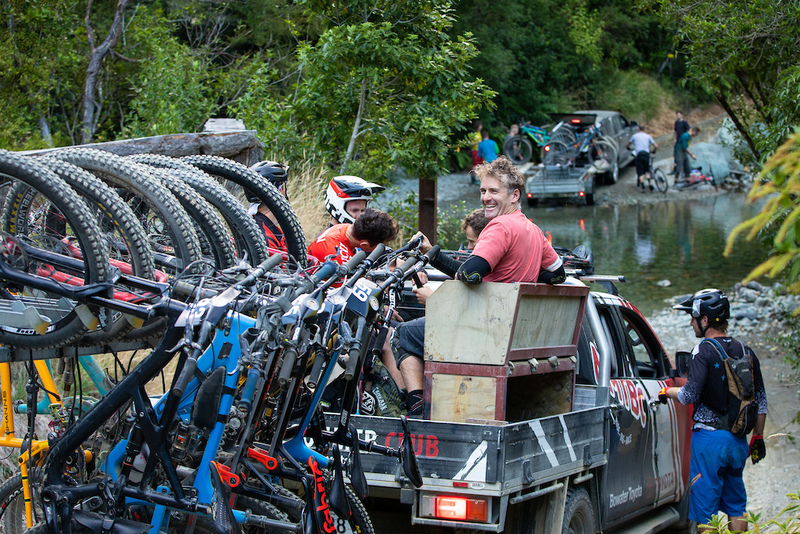 As soon as the briefing is done riders waste no time loading up the shuttles. 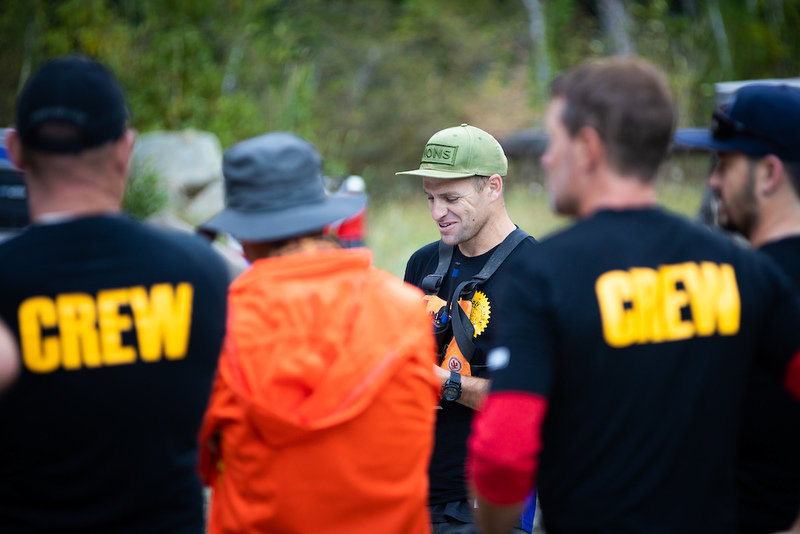 He said he always seemed to go well on longer stages and was feeling “pretty fresh” at the end of his 17 minute top-to-bottom run. 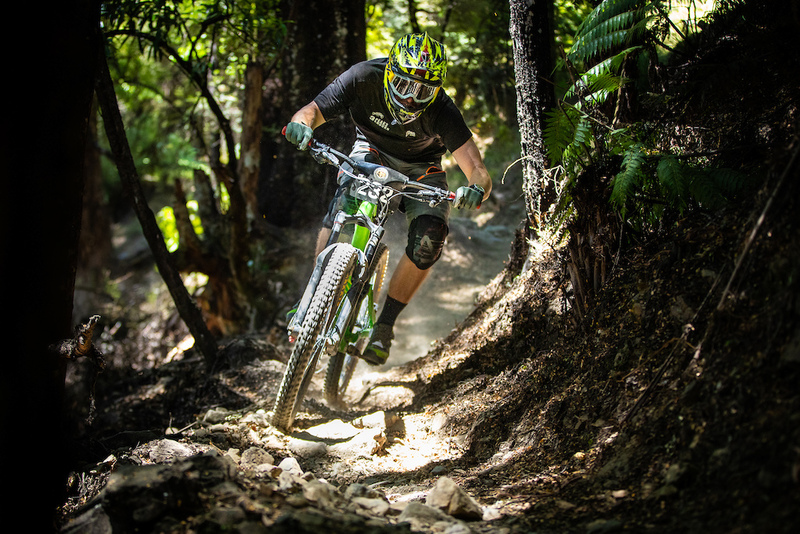 Blenkinsop said it was cool to have a race which kept Dodzy’s legacy alive. Wyn Masters on the charge. Tristan Rawlence of Nelson leads the pack during practice. Keegan Wright claimed second in 31:59, with Christchurch's Charlie Murray third in 32:05. Raewyn Morrison was too quick for the women's field, wrapping up the course in 37:19, ahead of local Anja McDonald in 39:01. Cati Pearson slotted into third in 41:08. 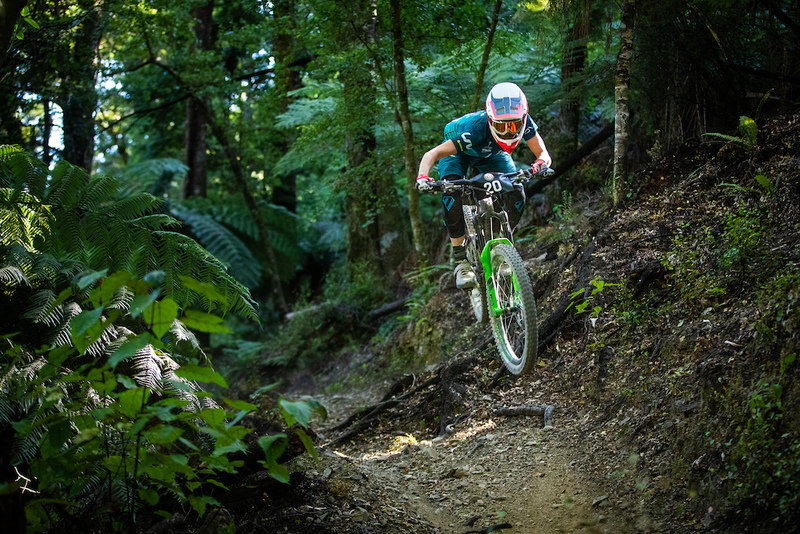 Morrison said the DME was one of her favourite events and she was thrilled to take the win. Rae Morrison's style and composure were unmatched in the woman's field. Anja McDonald was also on form but could not match the pace set my Morrison. Agata Bulska of Christchurch made a poor decision on line choice. Race organiser Nick Crocker was stoked the event, which sells out in minutes, was still so well received seven years in. 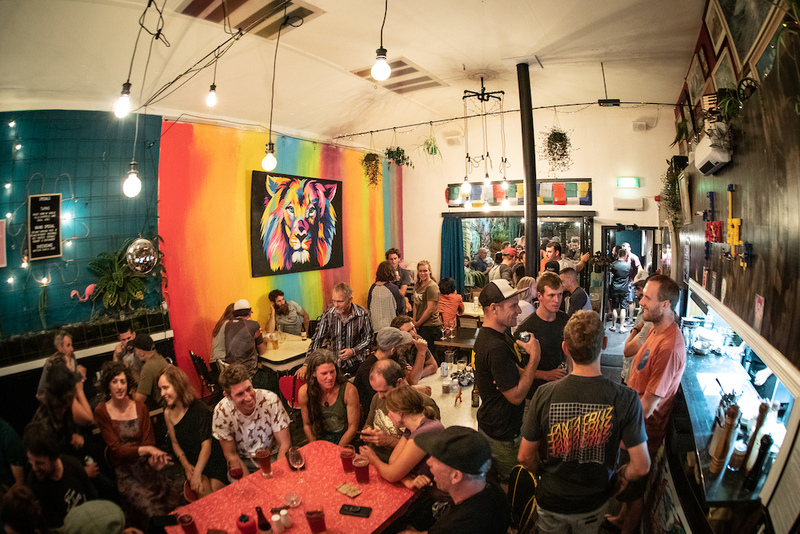 "People are so stoked on the vibe of the event, it’s all about Dodzy and who he was and what he meant to us." Crocker said the fire risk was a big hurdle to get through at the start of the week, knowing people were travelling from around the country, but they pulled off a plan with support from Fire and Emergency NZ. Peter Miller passes through some of the many carved sculptures hidden throughout the gorge. 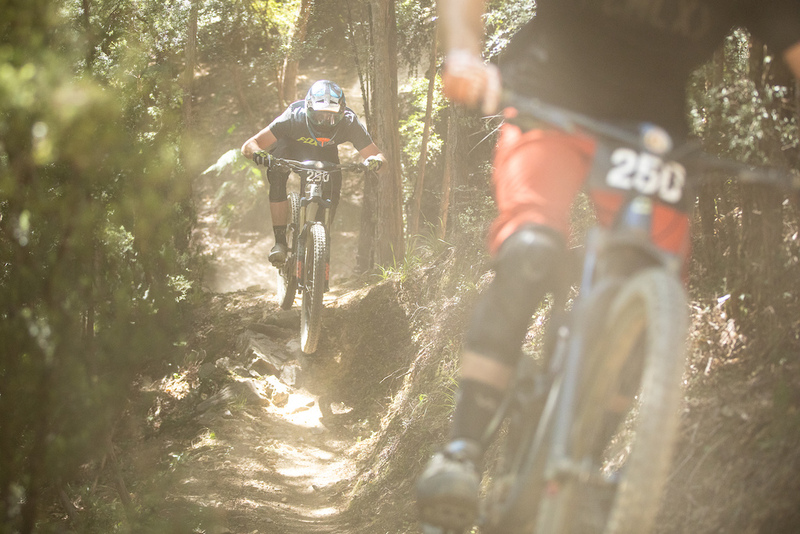 The dust kicked up off the bone dry trails was tough on the lungs if you managed to catch another rider, some compared it to riding while smoking half a pack of durry's. 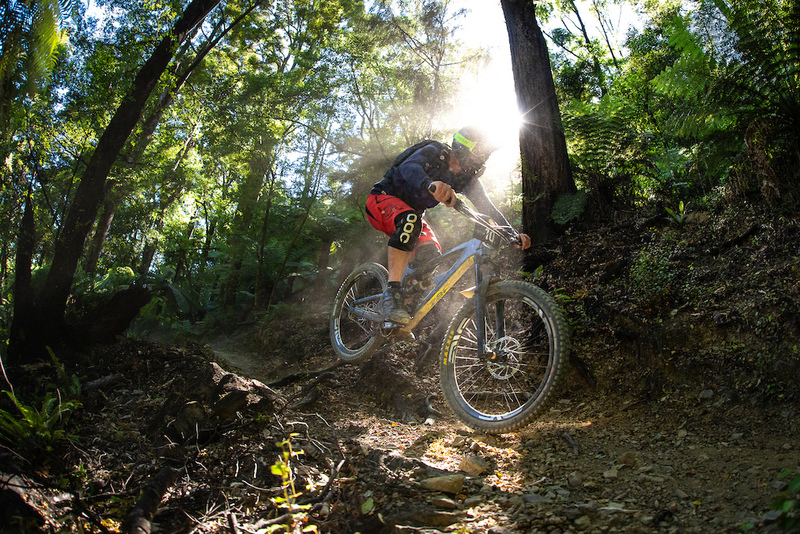 Cowboy McGinnity cuts through the morning light. 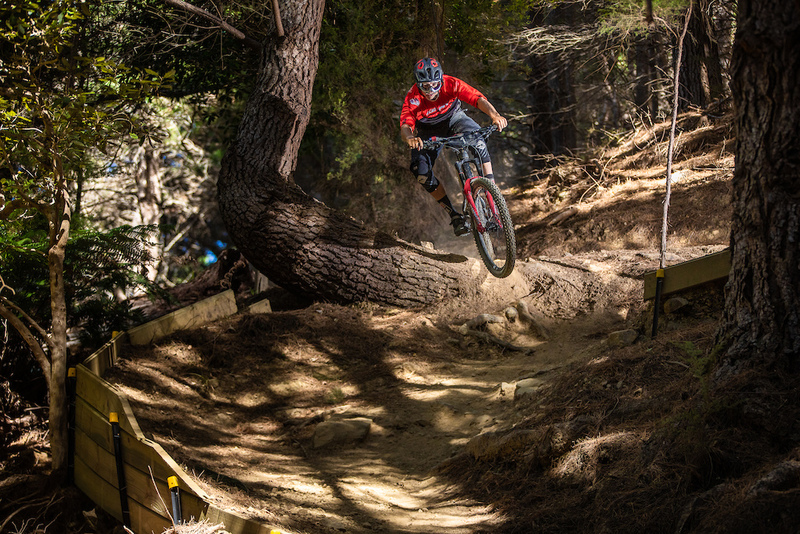 Sam Shaw charges through the seeding stage. While Wyn Masters pests about in the trees. Stage two was in memory of the late Mark Dunlop, a DME regular who had a contagious love of bikes and racing. Secretive American-born billionaire Ken Dart is in the process of donating the 860-hectare Wairoa Gorge to the Crown. 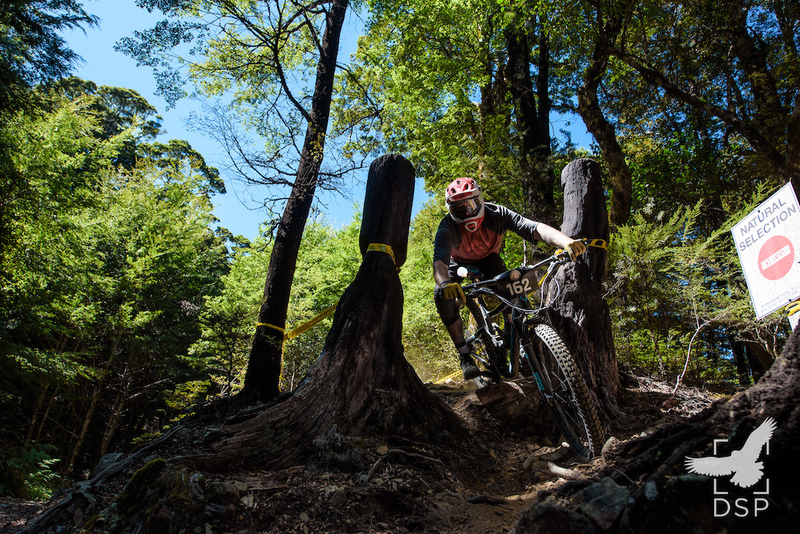 Dart bought the land in 2010 through his company RHL Holdings, having more than $19 million worth of trails built through the mixed native beech and plantation pine forest. 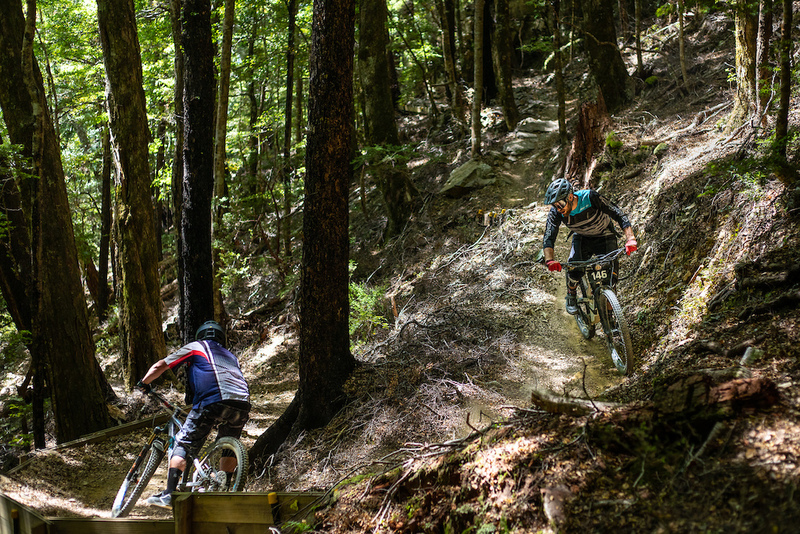 It will be managed by the Department of Conservation, with public access run through the Nelson Mountain Bike Club (NMTBC). 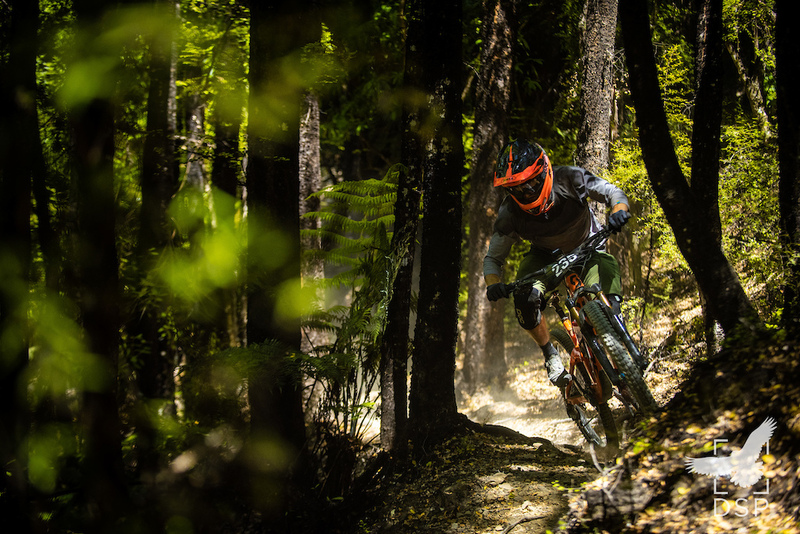 Chris Hamilton lost in the dense native beech forest. If Kane Fleury is not cutting apart dead sea creatures for Otago Museum, he is putting in a solid mid pack race time. Kevin English in the crisp morning light. With race stages in the +16min range it was not uncommon for some riders to pass multiple people on there run. Wyn cutting through the light rays. The forth and final stage and some would say the largest, East St bar Nelson central. 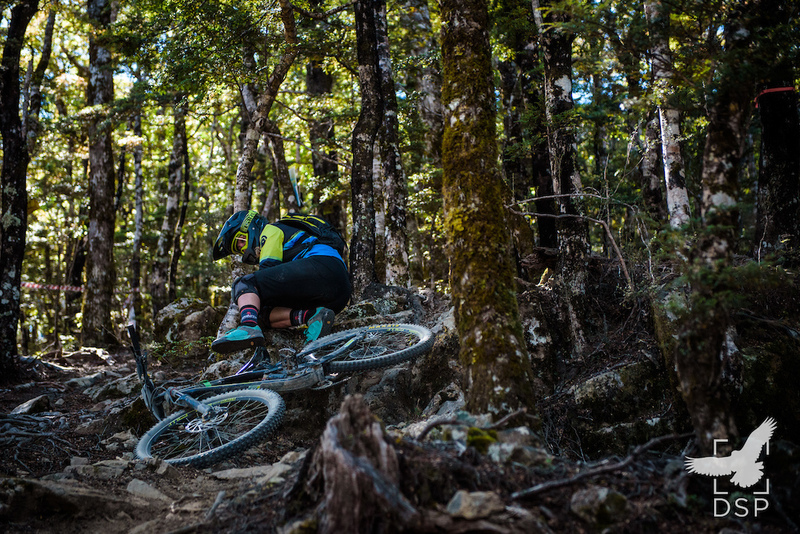 The race season continues in Nelson next weekend with the Aorere Enduro, an EWS continental round, running from Thursday to Sunday. 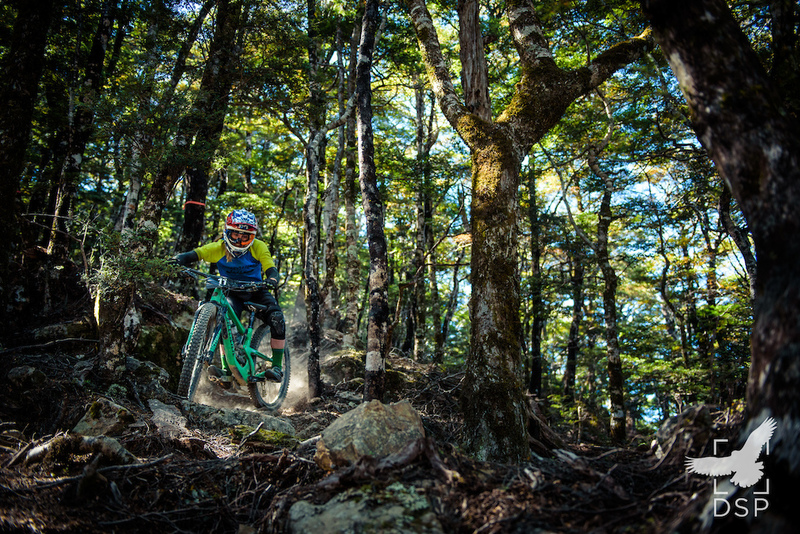 Full DME results are available here. Great write up and pics. Looks rowdy up there! Man I miss 17 minute downhills. Try 20+ minutes for the mere mortals! How far away is the fire from wairoa gorge? Chris Hamilton with the photo! Looks like you're loving the new Ransom. 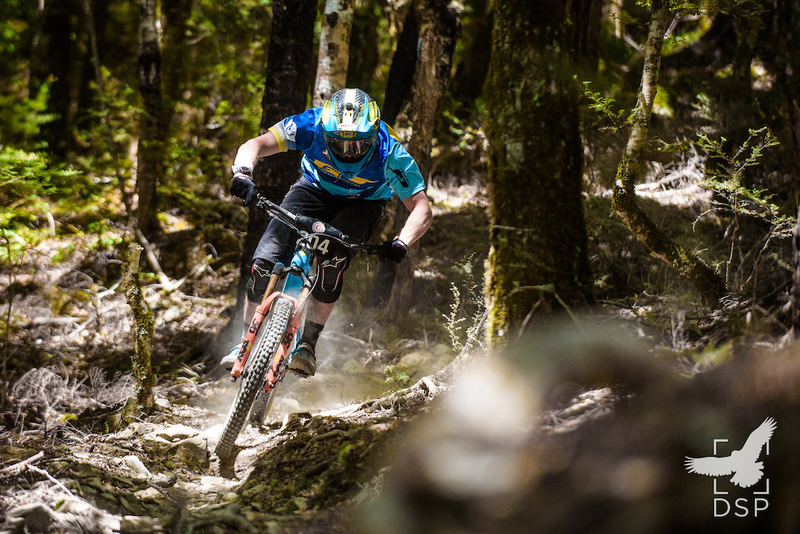 No news on Sam Hill, was he racing?